The Swiss National Center for Supercomputing (CSCS) and the HPC Advisory Council invite you to join the 7th annual conference ~ 21-23 March, 2016 at Palazzo dei Congressi ~ in Lugano, Switzerland. 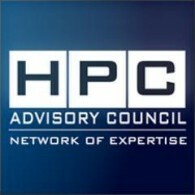 The three day conference offers HPC practitioners and R&D professionals a range of exceptional networking and educational opportunities – from essentials, new developments and emerging technologies to best practices and hands-on training. Make plans to attend and register before the early bird deadline ends! Regular admission for the 3-day conference is CHF 100.00 and includes admittance to all sessions, coffee breaks and lunches.